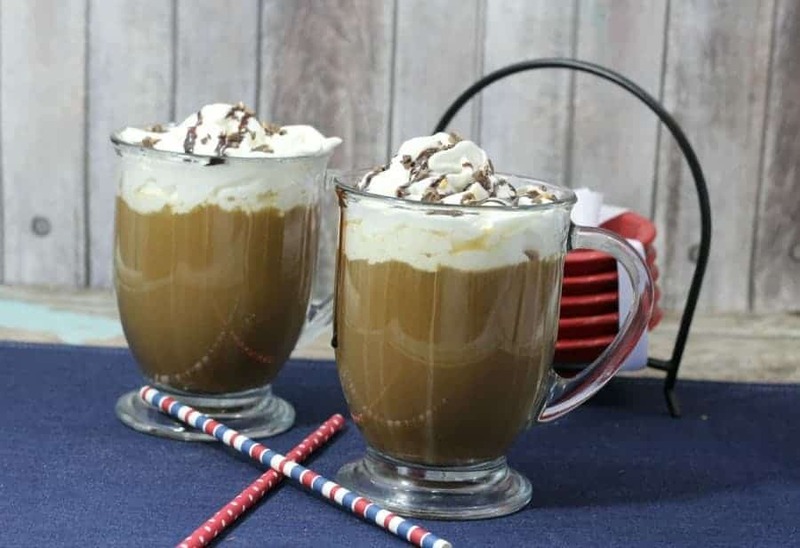 Today I am sharing this Mocha Cookie Crunch drink that is sure to warm you up during the upcoming cold weather months. Add milk, Chocolate Syrup and sugars to a small pot and cook on medium heat until hot, do not boil. Remove from heat and add the coffee. 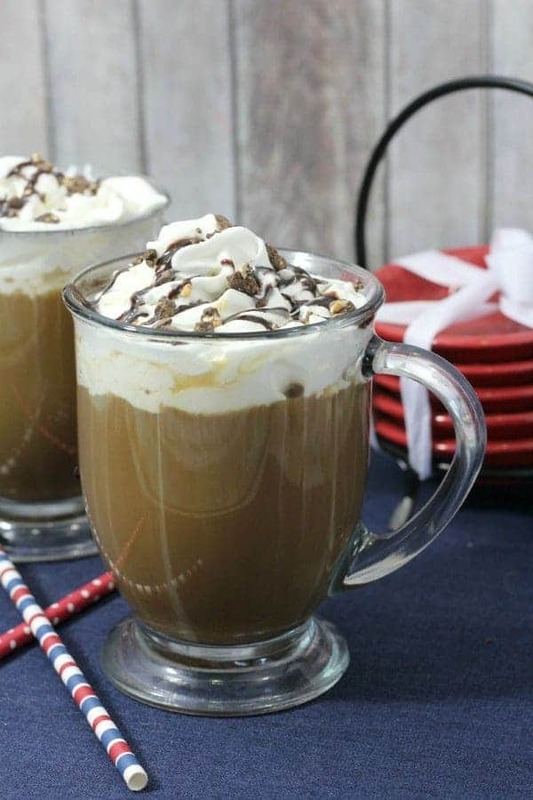 Pour into two coffee mugs then add whipped cream and top off with crumbled cookies.